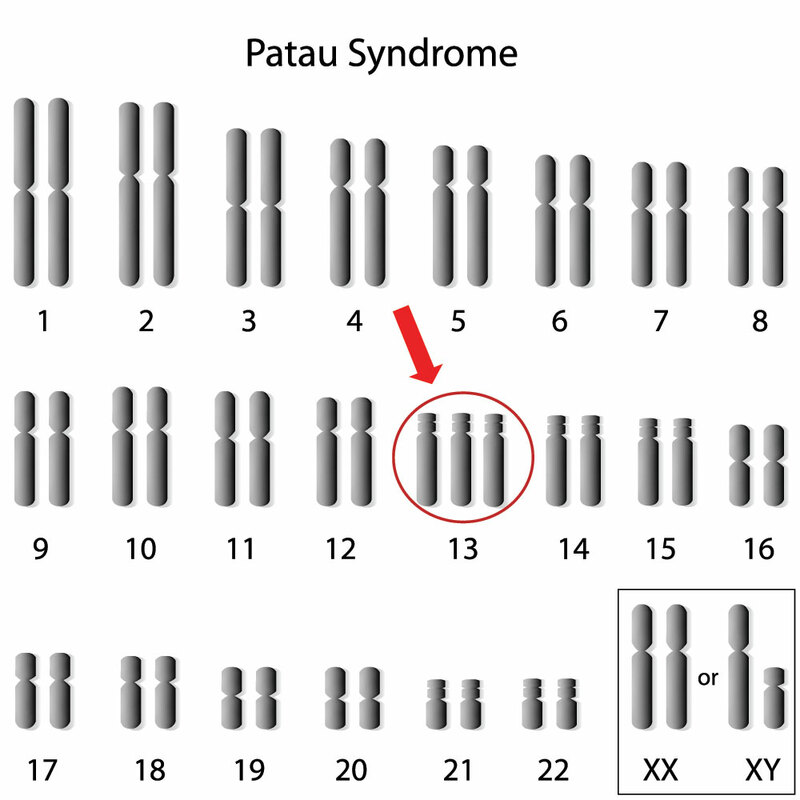 Trisomy 13 syndrome or Patau syndrome occurs in 1 of 16,000 births. Not many children survive as the malformations are serious. 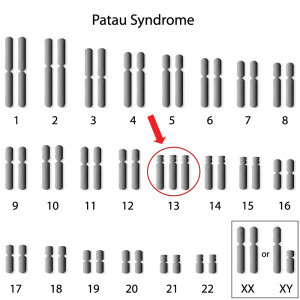 Most of these trisomy 13 syndrome cases are not inherited; they develop because of malformations during the course of sperm cell or egg development. An egg or a sperm may gain an extra copy of chromosome 13 in this chromosome, but if an extra copy of chromosome 13 gets attached to any other chromosome with two normal chromosomes at the chromosome 13 location, this syndrome will still develop. There is a condition of trisomy 13 syndrome that is inheritable: with translocation trisomy 13 an unaffected male or female can carry a rearrangement of genetic material from chromosome 13 and any other chromosome in a balanced fashion. This is called a balanced translocation, as there is no extra material from chromosome 13 available for expression. However, such a carrier with balanced translocation trisomy 13 can pass on material from chromosome 13 to their children resulting in trisomy 13 syndrome in their offspring. Facial deformities are common with a central cleft palate and ocular hypotelorism (close together eyes). The ears are low set and deformed. The skull is small and there are cerebral malformations, one particular severe one is called holoprosencephaly. These babies also have often multiple internal organ malformations and congenital heart disease. Apart from these deformities patients with trisomy 13 syndrome can have heart and brain defects and spinal cord abnormalities. Defects of the lips (cleft lips) and the roof of the mouth (cleft palate) are also frequently found. 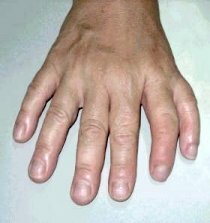 Polydactyly (extra fingers, thanks to http://www.beltina.org for this image) is also common. Due to the multiple malformations 80% of babies with trisomy 13 do not live beyond 1 month. Only about 15% will live beyond 1 year. Feeding problems, respiratory infections and mental retardation are the major problems.